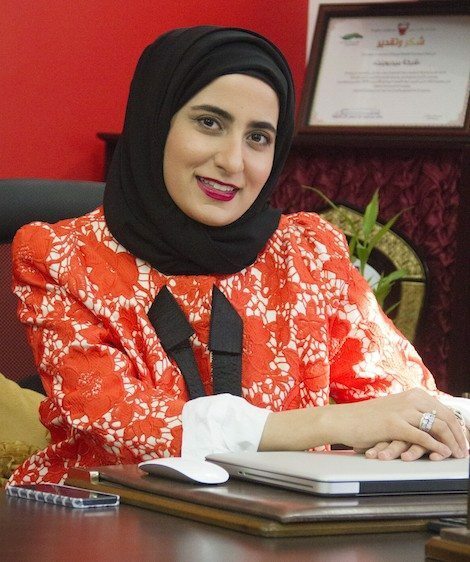 Sheikha Noora Al Khalifa, CEO, Medpoint. The Middle East Business Leaders Awards is one of the prestigious platforms where business leaders who use their leadership abilities, knowledge and energy to strengthen economic status and assist in building and developing business are rightly rewarded. This year’s award ceremony saw the rise of a new star in the region, Sheikha Noora Al Khalifa, CEO, Medpoint who was honored in the category of Emerging Women CEO of Middle East. As one of the major event management, advertising and publicity organization in the Kingdom of Bahrain, Medpoint has already earned numerous shields for their excellent services. Following are the excerpts from the interview BTW had with Sheikha Noora Al Khalifa regarding the award, her activities and plans for the next 5 years. Congrats for Emerging Women CEO of Middle East awards. How do you feel about it? It’s a pleasure to get an international Award from the 5th Middle East Business leaders 2014 as it is my first Award from the Middle East Business Leaders summit. I would like to dedicate this Award to the Kingdom of Bahrain and wish to represent our nation more often in different fields. It’s so true that without challenges you won’t be feeling the taste of success and happiness. This is not the first time that your efforts are being rewarded in form of awards. How do you look at winning them? With every award I receive, I feel more confident and committed to my company, as a CEO, and to my country as the proud citizen. Success at each echelon tastes great as it is the result of undeterred dedication and commitment to innovation I had, to reach here. I believe in keeping targets at each levels of business and also assure that I am on the right path alongside my competitors. So I keep working on different projects and every time I win an award it motivates and keeps me running the business. Was Medpoint your dream? If so, do you think your aspirations, while building it, were met? Medpoint has always been my dream. It’s what I have achieved after all the experiences and situations I had faced in my life. Through Medpoint, I intend to deliver my services to my nation, my family and everyone I am associated with. It surely is a dream come true moment for me. Where do you see Medpoint in next 5 years? If we decide to set growth as our priority, we need to have a proper plan at place to accomplish something. Growth factors always have its risks, but the right strategy can deliver stability, security and long-term profits. Medpoint organizes large scale annual events like BTraining (Bahrain Exhibition for Training and Education and Pre –Employment), Woow Expo, Abaya Exhibitions, Fashion Shows and Seminars. These training events and seminars are beneficial at different levels for the participants giving them a platform to learn new things to lead a better life personally and professionally. This eventually would support our nation to have a sturdy base upon which a strong nation can be built. With such beneficial events in the next 5 years, we will be able to reach where it’s expected to reach. Why did you choose to work in the current domain? How much do you think you are able to motivate and support the budding entrepreneurs in BAHRAIN? I have chosen this field because this is where my expertise lay. I have completed my graduation in the same field and I consider it as a gift from God almighty. I am trying to help the nation of Bahrain through a different scenario. I train the Bahrainis; motivate them to work out in different grounds, giving them experience of how to move forward in life by organizing mass scale successful events. Does it make any difference for you being a woman in the highly competitive business environment in Bahrain? Well actually there is no difference between men and women at this point of time in our society. As women are more respected and being supported by different Government sectors in Bahrain, things are looking real positive for women entrepreneurs. Of all the works done so far, which one according to you has been the most influential? As a young entrepreneur, I love working with the youth. All the while, encouraging them through conducting youth events and training sessions, they inspire me to go ahead and attain the vision I have for my company and this nation. Next articleRed, Itchy, Watery Eyes?